Prof. Dr. Abdel Wahab is the Chair of Private International law and Professor of International Arbitration at Cairo University; Vice President of the ICC International Court of Arbitration; Court Member of the LCIA; President of LCIA’s Arab Users’ Council; Court member of the CIMAC, Vice President of the IBA Arbitration Committee; Member of the CIArb’s Practice and Standards Committee; Member of the CRCICA Advisory Committee; Member of AAA-ICDR International Advisory Committee; and Member of the SIAC African Users’ Council’s Committee. Prof. Dr. Mohamed S. Abdel Wahab served as ‘Sole Arbitrator’, ‘Presiding Arbitrator’, ‘Party Appointed Arbitrator’, or ‘Counsel’ in more than 172 cases involving parties from the Middle East, Europe, Asia, Canada, and the United States. He appeared in cases under the auspices of the AAA, AAA-BCDR, CRCICA, DIAC, DIFC-LCIA, ICC, ICSID, LCIA, LMAA, SCC,SIAC, as well as ad hoc UNCITRAL proceedings. 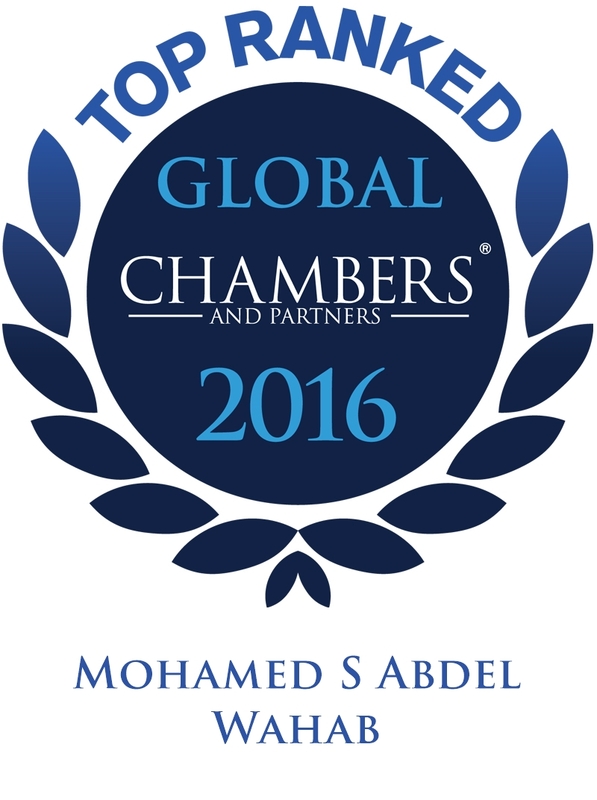 Prof. Dr. Abdel Wahab is recognized as a world leading expert on international arbitration, Arab Laws, and Islamic Shari’a. His expertise spans construction, oil & gas, telecommunications, finance and hospitality disputes involving cross border multi- jurisdictional and highly complex contracts and transactions. Prof. Dr. Abdel Wahab featured in proceedings governed by Bahraini, Egyptian, English, French, Jordanian, Kuwaiti, Libyan, New York, Omani, Pakistani, Qatari, Saudi, Spanish, Swiss, Syrian, Italian and United Arab Emirates law(s), as well as the general principles of law. Prof. Dr. Abdel Wahab features in Who’s Who Legal: Arbitration as a star arbitration practitioner and was selected to feature in the GAR Global Guide for Future Leaders in International Arbitration (2017) and the GAR Guide on Thought Leaders in International Arbitration (2017). Prof. Dr. Abdel Wahab is regularly recognized and ranked as a world leading dispute resolution practitioner in all leading legal directories. 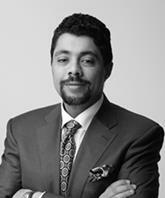 The Legal 500 (2014-2016) stated that Mohamed Abdel Wahab is “one of the brightest of his generation, a strong thinker and excellent advocate who knows arbitration inside out”. 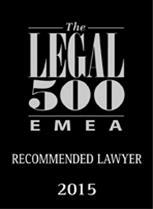 The Legal 500 (2017) stated that ‘Sharp, focused and highly intelligent’ head of international arbitration Mohamed Abdel Wahab is ‘an exceptional practitioner’. 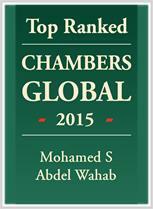 The Chambers & Partners Global (2017) ranks Prof. Dr. Mohamed Abdel Wahab as the STAR individual in Egypt and states: “The ‘top-notch’ Mohamed Abdel Wahab retains his position as a distinguished leader in the market after receiving a wealth of praise from peers and clients alike. 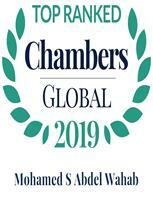 One market commentator added: ‘He is extraordinary – a bundle of energy, and academically extremely strong’.” Who’s Who Legal (2016-2017) says: Mohamed Abdel Wahab impresses all he works with.